Roller-compacted concrete is increasingly used for all types of roadways that require strength and sturdiness. The reason is simple: roller-compacted concrete pairs standard concrete performance with the simplicity of asphalt. It is all the more valuable due to its greater longevity and its lower cost than standard concrete. Considering the low amount of maintenance required, RCC is a great choice for a number of different applications. RCC contains the same components as basic concrete: cement, water, aggregates and additives, but in different ratios. For example, it contains from 75 to 85% of aggregates. When compacted, the aggregates are pushed closer together, which reduces the amount of air in the mix, and increases the concrete’s density. RCC is dry enough to be compacted by vibratory rollers, but moist enough spread evenly. It can therefore be used as a pavement and also as a concrete product for building dams, parking lots, platforms, etc. The main advantages of RCC are its quick application and speed in which it is put back into service. Its workability makes its application simple and quick. A roadway built using RCC can be open to vehicles 48 to 72 hours following its application. RCC pavement is strong and durable. It withstands the action of very heavy loads, even in adverse conditions. This is why it is used for several types of pavement: it even helps reduce the thickness of the underlying granular structure. Due to its impermeability, roller-compacted concrete is resistant to fuel, oil, solvents and other fluids. It can also withstand extreme summer heat and winter cold. When RCC is correctly designed and applied, it has unparalleled longevity compared to all other products for this type of application, and it will remain in service for several decades! 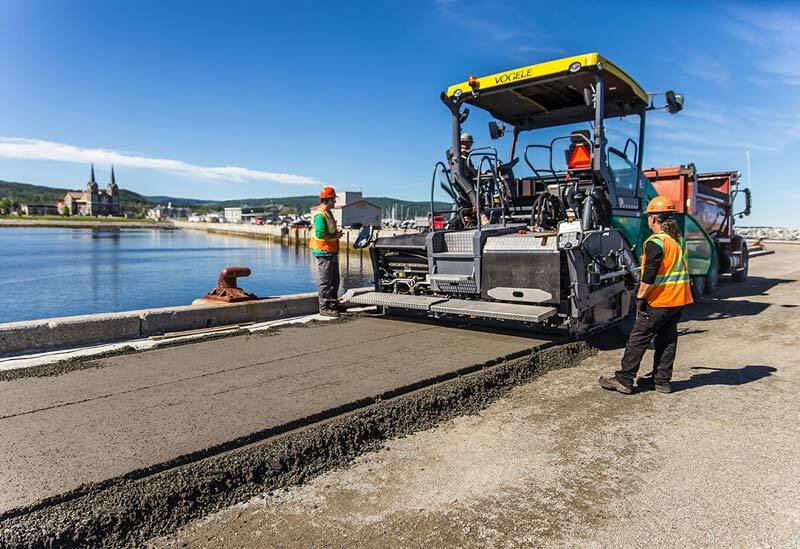 Roller-compacted concrete requires few repairs throughout its useful life. It does not need any waterproof coating or resurfacing. Aside from occasional cleaning, the maintenance requirements for RCC are minimal. Placing roller-compacted concrete costs relatively little. Since it has excellent durability and requires little maintenance, roller-compacted concrete is extremely cost-effective. RCC pavement is eco-friendly. Cement additives other than Portland cement can be added, such as fly ash (more energy-efficient). Compared to asphalt, its lighter colour reflects more light, which produces a brighter environment and requires less lighting. This lighter colour also reduces the amount of heat absorbed and the heat island effect. THE UNDENIABLE ADVANTAGES OF RCC PAVEMENT: QUICK, DURABLE, LOW MAINTENANCE AND ECO-FRIENDLY! 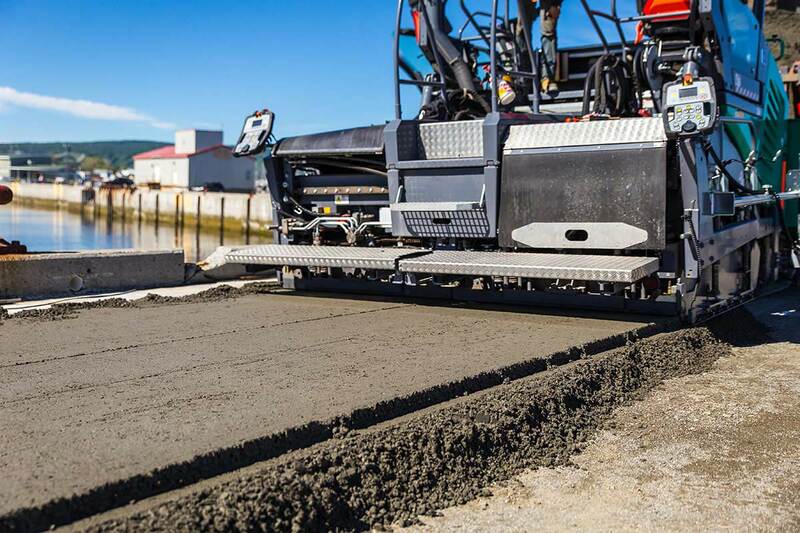 In addition to being a leading RCC supplier, Béton Provincial has the expertise and know-how necessary to place roller-compacted concrete pavement. 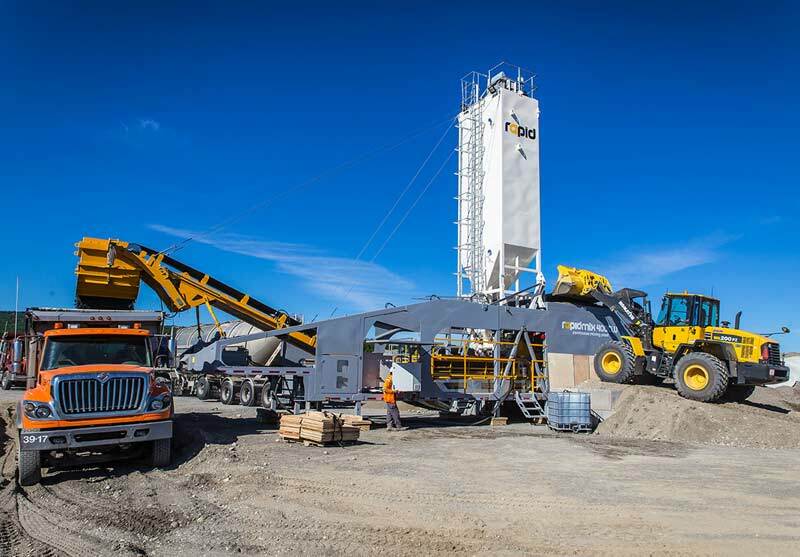 With over 80 locations in Quebec and Eastern Canada, the company has access to numerous primary resources used in RCC, such as aggregates and cement. We have long been experts in paving, and we are well acquainted with the ins and outs of roller-compacted concrete. RCC allows us to create roadways with a greater bearing capacity and beneficial mechanical qualities. It does not need any finishing. Our team’s know-how gives us a leg up on our competitors in RCC pavement supply. We place roller-compacted concrete using conventional yet sophisticated, cutting-edge equipment. This ensures an optimal and professional result. We can also easily move our mobile concrete plant anywhere in the region: a sure advantage in the paving industry. 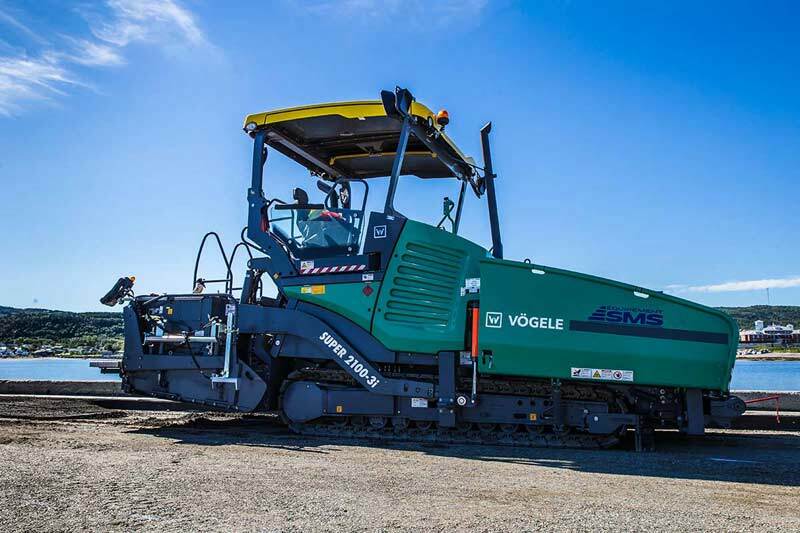 Our Vögele paver, equipped with high-performance electronic systems. Our continuous Pugmill mixer is state of the art. The mobile and compact unit folds in on itself to ensure quick and simple transportation.